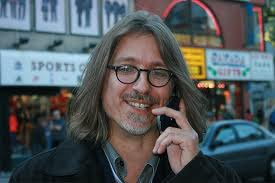 Here is my edited & produced phone interview I had with Toronto International Film Festival's Senior Programmer of Canadian Films, Steven Gravestock. The interview was initially aired on my show "THE MIDDLE PASSAGE", RADIO REGENT on Wednesday, August 29th. We discussed the line-up of films, as well as the directors and actors involved with the films....enjoy!